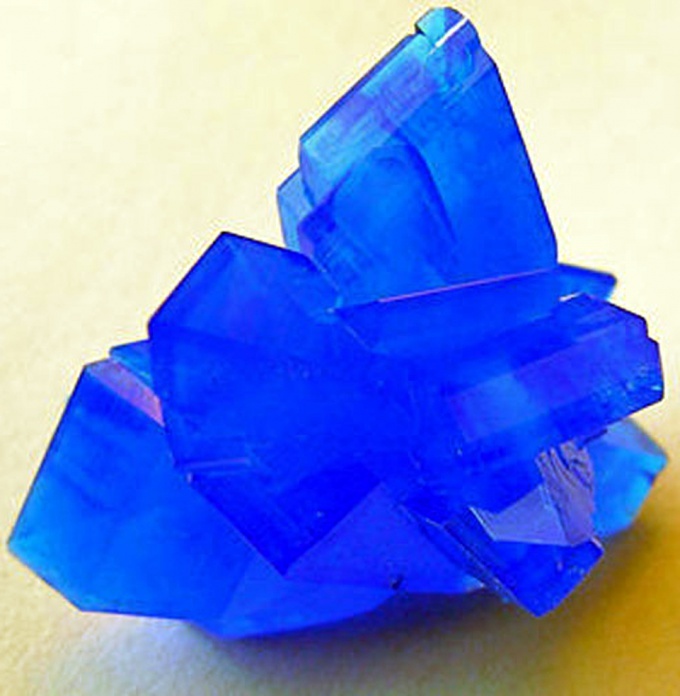 Blue crystals of copper sulfate are extremely beautiful. Experience in cultivation may be a long time to interest your preschooler and even the school child will love to watch grow on the string of crystals. For high school student this can serve as an introduction to one of the most interesting science — crystallography. Heat water to 45-50°C. Prepare a saturated solution of copper sulphategradually dissolving the powder in water until the complete cessation of further dissolution. Filter the resulting solution through filter paper and pour it into the mold. To a stick, tie a cotton thread. Lower the thread about half the container of solution. Cover the vessel with a cover glass so no dust. But you need to cover is not very tight, because the vessel needs to get air. Put the pot in a quiet place about a day. During crystal growth the solution can not be shake and shake. This can lead to the dissolution of already formed crystals. A day with a magnifying glass, consider formed on the threads and on the bottom of the vessel crystals. Select the largest and correct. Carefully using tweezers, remove the rest. Leave 4-5 crystals, and the distance between them should be sufficient for their growth. The crystals must not touch or they will stick. In the future, with the growth of the crystals to make sure that time they had not formed a new one. In the crystallizer it is impossible to add the solution. Copper sulphate for this experience you need to buy at the store chemical reagents or at the pharmacy. The package must be marked "CH", "GRADE" or "analytical grade". Copper sulfate, which is sold in agricultural stores, in this case not necessary. The crystallizer must be protected from extreme temperatures, dust and foreign objects. In any case can not touch the surface of the crystals by hand. Vessel you have a wide neck.